I hope you’re able to see this blog post all the way over there in France, President Emmanuel Macron. So, with that, Mr. President, I want to invite you take back the Statue of Liberty. Your French forebears delivered to this country a marvelous gift in late 1880s. We got that statue. 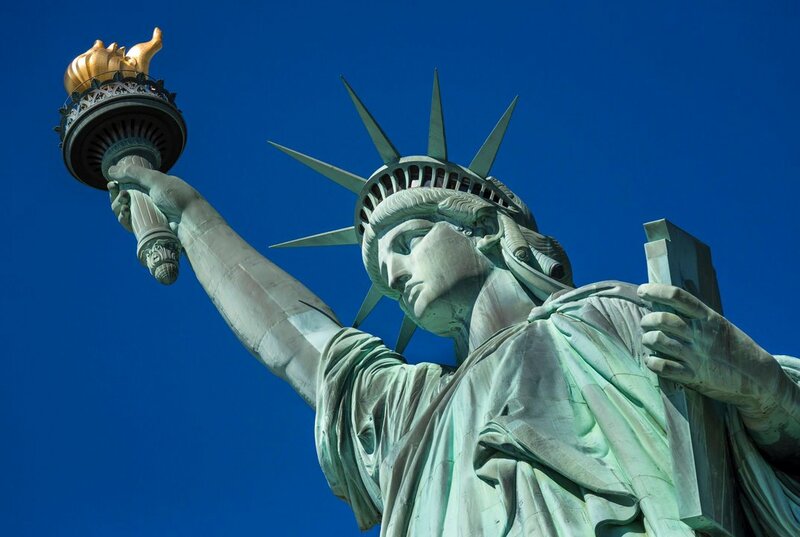 It was dedicated in New York Harbor in 1886. I know you’re aware of this, but I need to remind others that the statue came to this country in pieces. We had to assemble it on this side of The Pond. That was then, Mr. President. Donald Trump is trying to eliminate illegal immigration. He wants to build The Wall along our southern border. The president wants to overhaul our nation’s process for accepting those who seek asylum. In other words, he wants to make it much more difficult for those to obtain it when they enter this nation. He now declares that we’re “full.” He didn’t stipulate whether he meant “full” only to those seeking illegal entry. I am left to presume that he tossed that warning to the legal immigrants as well. If that’s the case, Mr. President, our head of state has rendered the Statue of Liberty useless. It serves no purpose. It cannot welcome those who seek a better life in this country because — as Donald Trump says — we’re full. We have no room at the proverbial inn. Don’t misunderstand, Mr. President. My wife and I are two of the millions of tourists who have seen the statue up close. We both derived great joy in seeing this welcoming symbol. We drew strength from it. That invitation to send us “The wretched refuse of your teeming shore”? Forget about it! We don’t need anyone’s “wretched refuse.” Trump wants to raise the bar for legal immigrants, too. You’ve heard about that one, right? And, hey, he knows of which he speaks. Our president tells us repeatedly that he knows everything about everything. He reminds us that he’s the smartest man in human history. I am sure he’s told you the same thing. I don’t know about you, Mr. President, but I believe our president when he makes those boasts. My advice to you would be to disassemble the Statue of Liberty and take it home. Maybe you can repurpose it, give it to some other nation that symbolizes the welcoming theme inscribed on the pedestal of the statue. Oh, but good luck finding that nation. 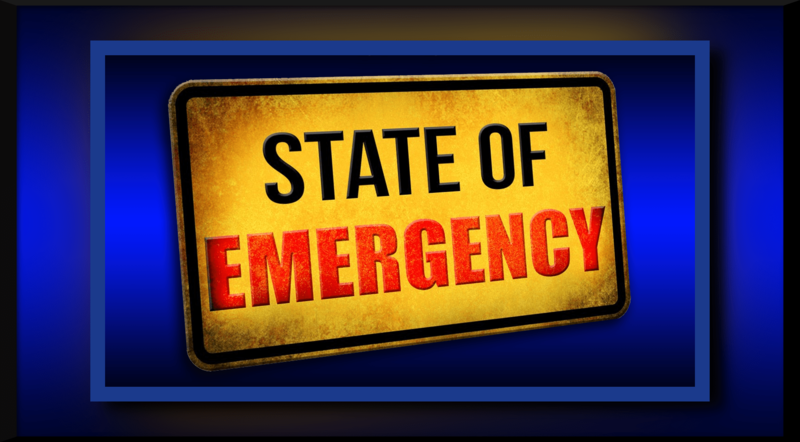 POTUS to declare a made-up ’emergency’? I am just going to stand with those who believe that there is no “national emergency” occurring on our southern border. Does that mean that we have no problem with illegal immigration? Of course not! It means that the president of the United States, Donald Trump, is seriously overstating the situation to suit some political agenda he wants to fulfill. How many times must it be said: There is no national emergency on our nation’s southern border! But the president will not be dissuaded. He won’t be deterred. He won’t let facts get in the way of his bogus boastfulness about building The Wall. Don’t misunderstand me. I do not favor “open borders.” I want our borders secured as much as Donald Trump does. Hell, maybe more so! I simply do not believe the president’s ridiculous assertion about the presence of an “emergency” existing on the border. Trump wants to usurp Congress’s role in appropriating money for government projects. He seems intent on diverting money to build The Wall from other actual emergencies. The most galling example of that is a report that the president intends to take money earmarked for disaster relief in California and Puerto Rico for construction of The Wall. Hmm. How in the world can this be seen as anything other than political payback for the intense criticism the president has received for his policies in general and for his response to disasters in those two disparate regions? The “national emergency” on our border with Mexico is a figment of Donald Trump’s fixation with pleasing his political base. This fixation makes me sick. Trump ‘wins,’ but declares emergency anyway? Donald Trump said that we’re already building The Wall along our southern border. A bipartisan group of senators and House members have worked out a deal to keep the government functioning fully while spending $1.37 billion for more fencing/wall/barriers along our southern border. The president said he is “unhappy” with the agreement. The Senate has approved it. He said he’ll sign it. Oh, but then the president reportedly is going to declare a “national emergency” to push ahead with more construction of The Wall. Holy crap, man! My head is spinning . . . rapidly! House Speaker Nancy Pelosi said she might file a legal challenge to the president’s effort to usurp Congress’s budgeting authority; Trump’s declaration would enable him, he says, to divert money from other projects to build The Wall. What puzzles me is that Donald Trump and his allies have declared victory, more or less, because they contend The Wall already is being built. Why, then, declare a national emergency? Indeed, there is no emergency on the border. I am going to agree with Nancy Pelosi, who said today that the president ought to declare the rash of gun violence in our schools and other public places as a real national emergency. Wait for it. Members of Congress are likely to pat themselves on the back, toast each other with adult beverages over an agreement “in principle” they have reached that aims to avoid another partial government shutdown. 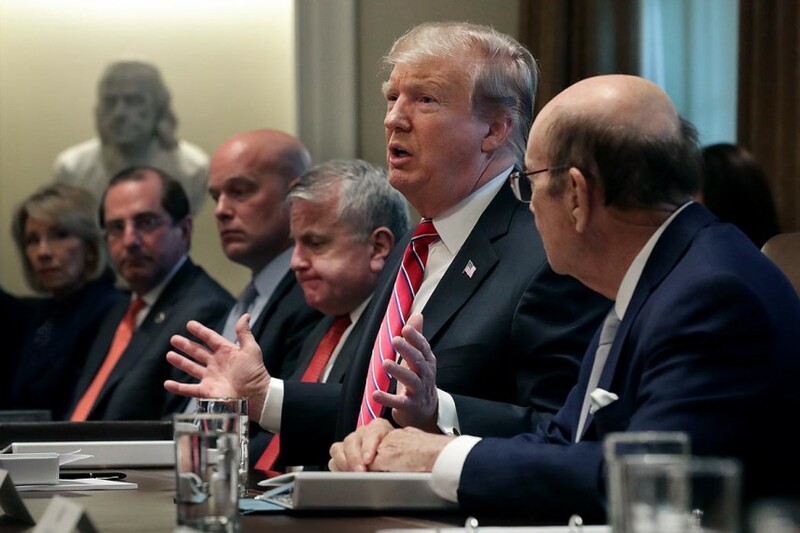 A bipartisan negotiating group has come up with a border security plan that provides some money for The Wall, but which falls a good bit short of the amount of money that Donald Trump insisted should be spent. They announced the agreement tonight. They’ll draft the legislation Tuesday. The president could torpedo this deal. He should think long and hard before he considers it. Congress should avoid the back-slapping just because it came up with a deal that keeps the government up and running. This incredible sequence of events has been a terrible demonstration of how not to govern this great nation of ours. The idea that we have a president who doesn’t know what the hell he is doing is bad enough. That we have a Congress that cannot craft a long-term budget that spares us this political melodrama only worsens Americans’ view of their government. Yes, the president deserves the bulk of the blame for what we have witnessed, given his insistence on building The Wall. However, Congress isn’t full of political statesmen and women, either. Where is the ’emergency,’ Mr. POTUS? So help me, Mr. President, I am having a devil of a time trying to pinpoint where the “national emergency” is occurring on our nation’s southern border. Is it along the Rio Grande River, which separates Texas from Mexico? I keep reading how safe El Paso has become sitting across the river from Juarez. Is it at Nogales or Yuma in Arizona, or at San Diego? We keep hearing this stuff about how “illegal” crossings have declined. There’s also the number of immigrants we are deporting back to the countries of their origin. You keep harping about a national emergency occurring on our border. You keep insisting you have the power to declare such an emergency and that you just might do so if congressional Democrats don’t fork over the billions of bucks you want to build The Wall. Oh, but what the heck. You know that already. What I and I’ll presume millions of other Americans want to know is this: How do you define an emergency and what evidence can you present that demonstrates that an emergency actually exists? Look, Mr. President, I’m with you on the issue of border security. I want a secure border just as much as you do. Maybe more so, given that I live in a border state. You can scurry off to Florida or to New Jersey or New York City when you’re not holed up in the “dump” — aka the White House. The Wall, though, is too expensive, it is too cumbersome, it is too fraught with legal complexities relating to eminent domain and Fifth Amendment guarantees of “just compensation” for property the government will have to seize from private owners. Just settle on legislation that allows the expenditure of more money on technology we’re already using to secure our southern border, Mr. President. I believe House Speaker Nancy Pelosi is good with that. So, let’s get it done. Do not declare an emergency, Mr. President, because I believe there is no emergency to declare! So, the government is going to reopen for at least the next three weeks, right? Donald “Master Dealmaker in Chief” Trump backed down from Democrats’ demands. We’re getting our entire federal government back in action — with no money for The Wall. I don’t know whether to laugh or scream in disgust. There’s nothing for the president to cheer. For that matter, I wouldn’t bet that Democrats are jumping for joy, either. Why? They need to get to work. They have three weeks to hammer out a long term budget deal that includes some form of border security. Democrats aren’t likely to cave on The Wall. As for the president, no one seems able to predict what he’ll do. Trump had held out for $5.7 billion for construction of The Wall along our southern border. 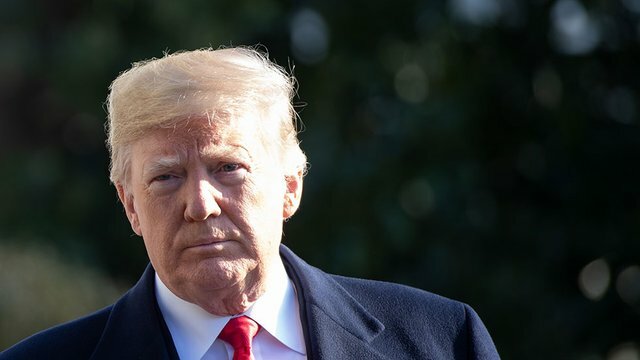 If he doesn’t get cash for the structure by Feb. 15, he is pondering whether to declare a national emergency along the border and then ordering the military to build The Wall with money he would pilfer from other governmental accounts. Let me think about this. It will prompt an immediate legal challenge by those who will contend that the president is acting unlawfully. Was this a win for the president? Not even close! Have the Democrats led by Speaker Nancy Pelosi and Senate Minority Leader Charles Schumer won anything? Nope. Let’s . . . get . . . busy. Donald J. Trump has managed to return the so-called “Dreamers” to the top of our minds as he and Congress hassle with each other over how to resolve this idiotic partial government shutdown catastrophe. The Dreamers are those U.S. residents who were brought to this country illegally by their parents. Most of them likely came here as children. Perhaps they were babies, toddlers, very young people. They were granted special status by Barack Obama who signed an executive order establishing a rule called Deferred Action on Childhood Arrivals. Donald Trump rescinded that order, effectively putting these DACA recipients on notice that they would be deported, sent back to the country of their birth. The government is partially shut down because Trump wants to build The Wall along our southern border. Congressional Democrats oppose it. Then the president offered to give DACA recipients a three-year reprieve from deportation provided Congress allocates $5.7 billion to build The Wall. He has inched a little closer to the other side. The Dreamers need to be given a break. They are here because of an illegal act that their parents committed. These U.S. residents — de facto Americans — need not be punished because they were too young to refuse to follow Mom and Dad across the U.S. border illegally. Trump, though, faces pressure from his far-right flank. Talk-show hosts hate the DACA rule. 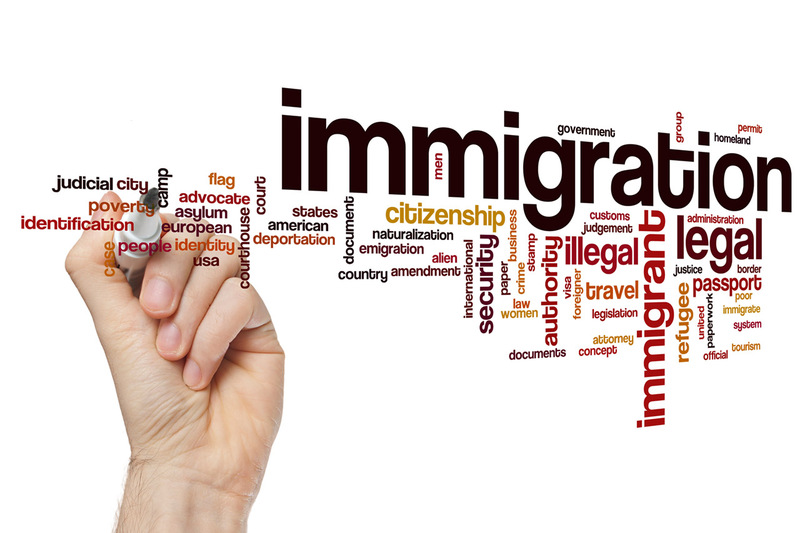 They want all these individuals who know no other country than the United States to leave this country. Their uncertain future? Big deal, the right-wing talkers say. It’s not their problem. I want the Dreamers to get a break. I want them to live in the country of their parents’ choice without fear of being sent into the great unknown. Talk about an unintended consequence. Donald Trump said he would shut down the government over construction of The Wall along our southern border to increase border security. So, part of the government shuts down. 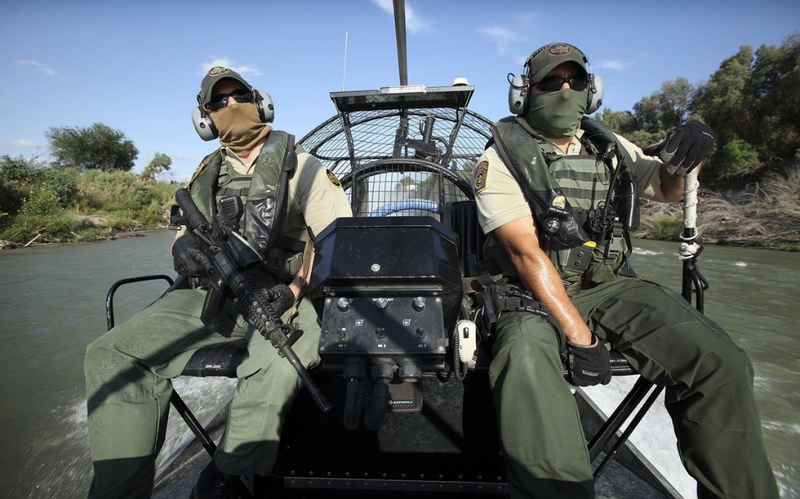 The U.S. Border Patrol continues to do its job, which is to secure the border. Except that the shutdown is depriving these valuable officers of their pay. It’s putting enormous stress on those officers. Thus, it is — let’s see — oh, endangering national security. A stressed-out Border Patrol officer cannot do his or her job as well as someone who isn’t suffering from the pressure caused by a shutdown that deprives them of income. How’s that security enhancement goal working out, Mr. President? I’ve got the answer: Not worth a damn!